The Coat of Arms also known as the Armorial Assigns of Shane Leslie Stone granted by the UK College of Arms London who together with the Court of the Lord Lyon in Edinburgh Scotland are the responsible Authorities for Australia as a member of the Commonwealth. Granted on Australia Day 26 January 2008. Coats of Arms originated about a hundred years after the Norman Conquest, and from early days have been controlled by Royal Heralds, who are also ceremonial Officers of the Crown. At first nobles and knights assumed coats of Arms, to distinguish themselves in tournaments and in battle, and to use upon their seals. Later, the senior Heralds or Kings of Arms began to grant Arms to worthy people in the name of the Sovereign. During the middle ages, important corporate bodies such as cities, towns and abbeys also found a need to use Arms, and on 10 March 1439 William Bruges, Garter King of Arms, granted Arms to the Worshipful Company of Drapers, a London Guild. Grants have been made continuously since then to livery companies, merchant companies, civic bodies, charities and hospitals. More recently, banking, shipping, insurance and other commercial companies have been given the right to bear Arms. ‘Responsibility for Arms in England and Wales rests with the Heralds of the College of Arms, first established by charter of King Richard III in 1484, and later by King Phillip and Queen Mary in 1555. 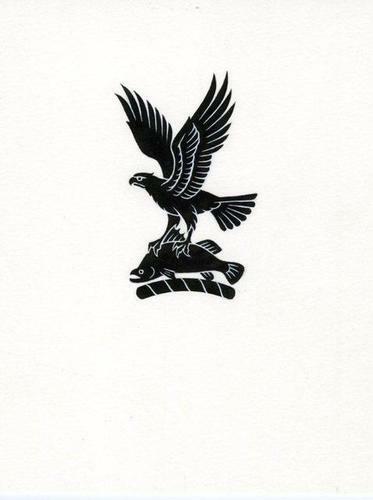 Registers are maintained to ensure that new designs are unique and that existing designs are protected’ (Extract from the UK College of Arms information brochure). Today the United Kingdom College of Arms is the official repository of the coats of arms and pedigrees of English, Welsh, Northern Irish and Commonwealth families and their descendants. Its records also include official copies of the records of Ulster King of Arms the original of which remain in Dublin. 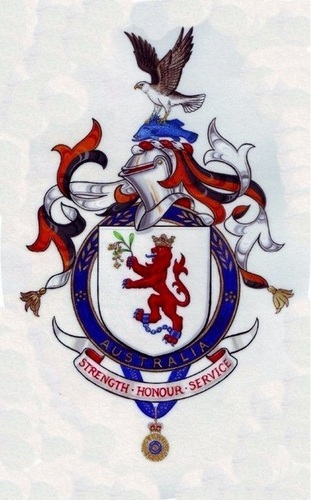 Heraldry has not been repatriated to the Commonwealth of Australia and as a consequence Australians may make application to acquire Arms from a lawfully established authority under the Crown to one of Her Majesty’s two heraldic offices in the United Kingdom - the College of Arms in London or the Court of the Lord Lyon in Edinburgh Scotland. There has been some debate in Australia about establishing an Australian College of Arms, notably in the New South Wales Parliament. There is an Australian Heraldry Society5 that supports repatriation from the United Kingdom to an Australian heraldic authority under the auspices of the State. The United States College of Arms Foundation has a close working relationship with the UK College of Arms. Because America is not a member of the Commonwealth and Americans not subjects of the Crown they are not entitled to make application for Arms to her Majesty’s heraldic offices however those who can establish their pedigree and claim prior to the American War of Independence may make application. It is reported that nowadays there has been a significant increase in the interest and applications made by citizens of the United States to the heraldic authorities in the United Kingdom tracing their pedigree (ancestry) to pre War of Independence English settlers. Americans reportedly have a fascination and enduring interest in Arms as evidenced by the many organisations, not for profit and commercial who dominate the market. Ecclesiastical heraldry is a topic in its own right. For the Catholic and Papal perspective an Australian, the late Michael McCarthy published extensively on this topic including on Papal Arms and armorials of members of the College of Cardinals. He also published on the Lutheran and Anglican Church armorials. Over the centuries heraldry has at times been at the centre of controversy and disputation. Arthur Charles Fox-Davies, a British author on heraldry and barrister by profession described by some as a polemicist published the controversial works The Right to Bear Arms under the pseudonym ‘X’ (2nd edition circa 1900). The last century marked a period of debate, controversy and disputation fuelled by Fox-Davies’s written assertions that some in the upper echelons of British society including the aristocracy had not legally established a right to Arms, had improperly used or borrowed from others or simply cobbled together designs that were not approved. If he set out to ‘shake the tree’ among the aristocracy and pretenders he achieved precisely that. Years later his views, opinions and commentaries were largely endorsed by John Brooke-Little Esq. Clarenceux King of Arms and founder of the Heraldry Society with the publication The Complete Guide to Heraldry (circa 1929). Fox-Davies compiled and edited ‘Armorial Families A Directory of Gentlemen of Coat–Armour 5th Edition’ (circa1905). He wrote: ‘Heraldry has been contemptuously termed “the science of fools with long memories”. There is more wit than wisdom in the remark, and with many, the smart saying has unfortunately a great advantage over a just one. He was a controversial and forthright individual who brought to his arguments the forensic skills of a seasoned barrister - he also served 3 terms in the House of Commons and was not backward in taking his views into the Parliament. He was never a Herald or Pursuivant (junior officer of Arms) at the College of Arms but did serve as a Gold Staff Member at the Coronation of George V which might suggest that he was respected and well regarded for his works and writings. For those that have more than a passing interest in heraldry I have reproduced in two separate documents extracts from the 5th (circa 1905) and 7th (circa 1929) editions. The 5th edition includes a treatise on The Abuse of Arms. Also this edition documents the Arms of Edward Stone, Sir John Benjamin Stone and two Stone Arms claimed by way of pedigree. The 7th edition (circa 1929) documents the Arms of Edward Stone’s claimants, Stone of Bradbury, the Arms of Sir John Benjamin Stone’s claimants, Stone of Bedford’s and one Stone Arms claimed by way of pedigree. There is also the Burkes Peerage and Gentry International Register of Arms6 an ‘unofficial’ register which provides a comparison with Arms granted by jurisdictions and organisations outside the United Kingdom. The Heraldry Society referred to previously also features the registered and legal Arms of members of the Society. The White Lion Society has an impressive members armorial collection (their arms and blazons) including those of Dennis Walmsley Stone Esq. 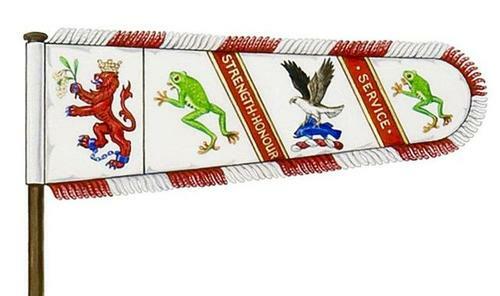 (Court of the Lord Lyon circa 1992) see also the Scottish version. The Heraldry Society of Scotland also features the Arms of members – Scottish and International. The website of the Royal Heraldic Society of Canada provides a very informative background to heraldry. Finally the right to Arms is best summarised by the UK Society of Genealogists. Apart from heraldry the Society is also a very useful site for researching family history . The United Kingdom College of Arms is the official repository of the coats of arms and pedigrees of English, Welsh, Northern Irish and Commonwealth families and their descendants. Its records also include official copies of the records of Ulster King of Arms the originals of which remain in Dublin. The officers of the UK College of Arms, known as heralds, specialize in genealogical and heraldic work. Coats of arms have been and still are granted by Letters Patent from the senior herald, the Kings of Arms. A right to Arms can only be established by the registration in the official records of the College of Arms of a pedigree showing direct male line descent from an ancestor already appearing therein as entitled to Arms, or by making application through the College of Arms for a Grant of Arms. Grants may be made to corporations as well as to individuals. In depicting a Coat of Arms strict rules of heraldry apply in design and colour. Formalised by direction dating back to 1417 no two Armorial Ensigns approved by the College of Arms are the same. Where a grant is made to an individual that person at their option they may seek to register an authenticated pedigree verified by the College genealogists that may assist future generations in making a claim to a right to Arms. For those engaged in the exercise of researching a family tree a registered pedigree would serve as a valuable future primary source in researching ones family ancestry. By Memorandum dated August 2007 application was made to the Earl Marshal His Grace The Duke of Norfolk, College of Arms for a Grant of Arms subsequent to the conferral of the honour of the Companion of the Order of Australia on Shane Leslie Stone in the Queen’s Birthday Honours List 2 June 20067. 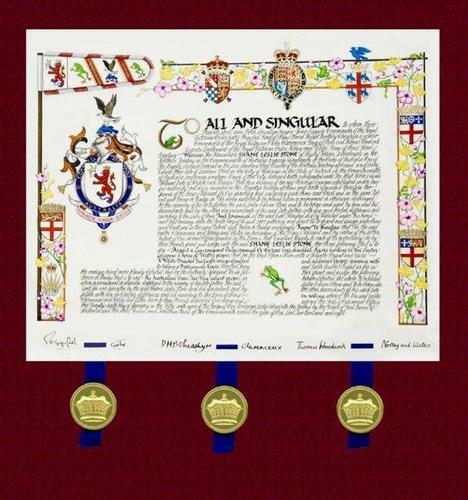 The College of Arms was selected rather than the Court of the Lord Lyon because the Stone family has a very tenuous Scottish heritage at best through intermarriage (Cameron8 and Cerry (sometime Currie and Curry) the latter being expatriate Irish who migrated to Australia having resided in Glasgow) whilst the paternal lineal line is mainly English traced to the 15th century in Devon. The most proximate maternal lineal line is Irish through the families Devine (sometime Davine and O’Devine) and Hassett. 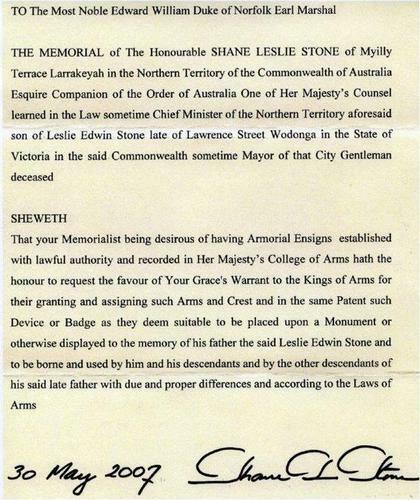 The Memorandum specially requested that the Grant of Arms date from the late Leslie Edwin Stone JP last Shire President of Wodonga and first Mayor of the Rural City of Wodonga (now known as the City of Wodonga). Les Stone grew up in the early 1900’s in the midst of the grinding poverty of working class Collingwood, an inner Melbourne suburb where being Catholic was an added disadvantage. Unknown to Les he was a direct descendant of a paternal line of Stones from South Pool and Holbeton in Devon, adherents of the Established Church of England. His father converted to Catholicism on marriage. At age 13 Les Stone commenced work as a wool classer and roustabout in the wool mills of Abbotsford near Collingwood before joining the Catholic teaching congregation the Christian Brothers. He left the brothers after 10 years and retrained as a primary school teacher in Victoria (an era when teacher training and experience in Church schools was deemed inadequate). He remained a deeply spiritual man of faith throughout his life. Les Stone had an outstanding career as a primary school teacher, headmaster and an elected member in local government. He died prematurely at the age of 54 years. 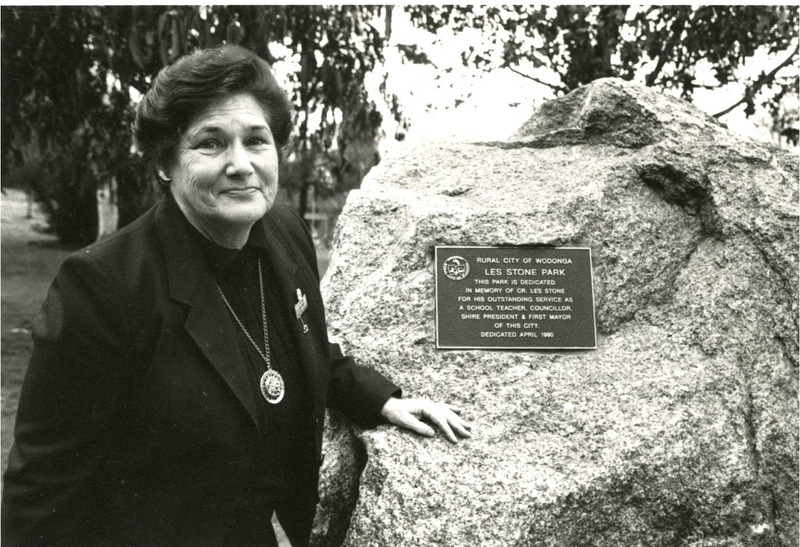 Whilst the City of Wodonga acknowledged his achievements through the establishment of the Les Stone Park and a condolence motion, his early death ensured that no honours or awards marked his dedicated community service. During his life Les worked tireless for numerous organisations including the Royal Children’s Hospital, Royal Melbourne Hospital (a Life Governor of both hospitals), the Wodonga Good Neighbour Council, Knights of the Southern Cross, Rotary Club, the St. Vincent de Paul Society, Holy Name Society and St. Augustine’s Parish Council. He was an active and vocal councillor and gave over 10 years of service to the people of Wodonga - his election and re-election was never once opposed. A feat repeated by his wife Pam Stone when she was later elected to Council. In the year of the Centenary of Federation 2001 under the auspices of a project funded by the Federal Centenary of Federation Committee, both Les and Pam Stone were selected by the people of Albury Wodonga as among the 10 people considered to have had the greatest impact on the twin cities in the previous 100 years. Wodonga City Council in 2010 subsequently named the adjacent parkland to the Les Stone Park (commissioned shortly after his death) as the Pam Stone Park. The location of the two parks has a historical significance. The parkland comprising both parks named for Les and Pam sit either side of Lawrence Street near the Wodonga West Primary School (Les’s last school appointment). The family home where all three children grew up is nearby at 225 Lawrence Street. Also, the Les Stone Park is where ‘new Australians’ become citizens on Australia Day January 26 each year. In designing the Coat of Arms one option was to select symbols that held certain traditional meanings styled heraldic ordinaries as published by John Guillim Display of Heraldrie (circa 1610) for example a gavel to symbolise ‘justice; legal authority’; or scales of justice symbolising ‘justice’. The alternative was to design a Coat of Arms that was specific to the Armiger whilst also having regard to the foregoing. After considering all the options the final design was specific to the background and achievements of the Stone Family in Australia, not Shane Stone alone. However certain heraldic symbols and their associated meanings were chosen to compliment the story. 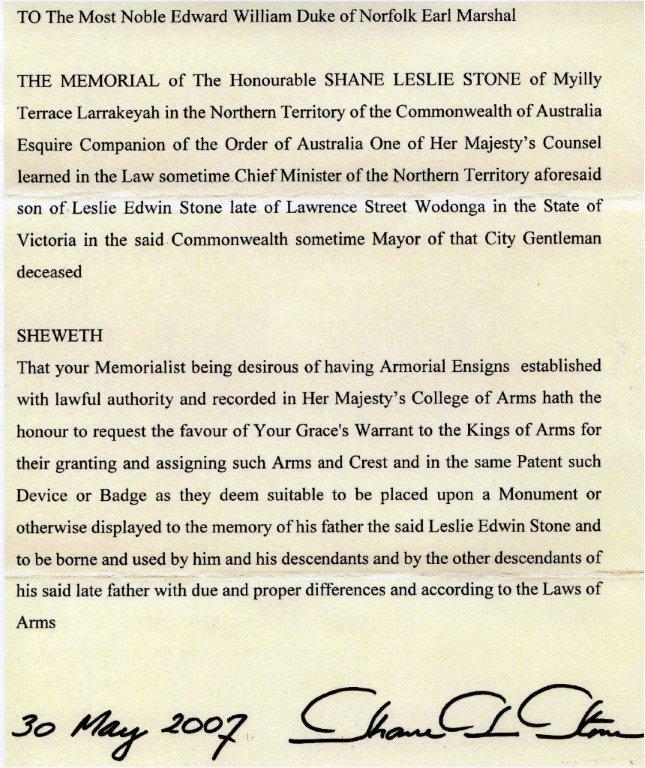 As a consequence, the Coat of Arms of Shane Leslie Stone has a historical flavour of the Stone Family in Australia with a particular emphasis on Australia’s Northern Territory where Shane made his public career and the achievements of his parents Les and Pam Stone in Wodonga. The Stone Coat of Arms is best described as follows. The crest that sits atop the helmet comprises a Northern Australian sea eagle (described in the Letters Patent as a white breasted sea eagle; in the parlance of heraldry the eagle signifies a person of noble nature, strength, bravery, and alertness; or one who is high-spirited, ingenious, quick-witted, and judicious; ‘True magnanimity and strength of mind’ according to Guillim; further if the wings are ‘displayed’ it signifies protection). The sea eagle is in flight with a barramundi (a fish symbolises a true, generous mind; virtuous for himself, not because of his heritage; also unity with Christ, spiritual nourishment) in its talons. The design of the crest and qualities espoused were chosen to define and acknowledge Les and Pam Stone’s characters and qualities. A wreath is wound around the top of the helm (helmet). The wreath otherwise known as the torse is a twisted roll of fabric wound around the top of the helm and crest to hold the mantle in place and hide the torse securing the crest of the helm (as worn at tournaments). Like the mantle, the protective cloth covering worn over a knight’s helmet the torse is usually represented by two colours and generally the two principal colours in the Arms. The helmet selected is the closed helm or visored helm with the visor down placed sideways (in the United Kingdom the style of helm distinguishes the Sovereign, Peers, Baronets, Knights and Gentlemen). The mantling (also known as lambrequin) is drapery tied to the helmet above the shield and is a stylized representation of the mantle slashed by swords in a tournament. It forms a backdrop for the shield. On this occasion three colours have been used for the mantling; the official colours of Australia’s Northern Territory – black, white and ochre (although their tincture is described differently under the laws of heraldry, further there is no equivalent for ochre a colour synonymous with indigenous Australians). The shape of the shield is based on the medieval shields that were used by knights in combat (ladies customarily bear their arms upon a lozenge or diamond shape). In this case the shield (alternatively referred to as escutcheon) background (known as the field) is comprised of the single colour (tincture) white. The charge is the red lion of Devon (Lion rampant body roughly vertical, forepaws raised to strike; a lion symbolises bravery, strength, ferocity, and valour) as the Stone family arrived in Moreton Bay, Queensland) from the South Hams, Devon in August 1865. Shane’s 2nd Great grandfather John Stone worked as a platelayer on the Queensland Dalby Toowoomba rail line before travelling to Melbourne, Port Phillip sometime in 1869. He was subsequently killed in a railway accident in Launceston, Crown Colony of Tasmania on 6 September 1869. His family had remained in Collingwood while he went in search of work. The lion is grasping a sprig of Australian wattle which also features on the website banner (Australia’s national flower symbolizes ‘coming to Australia’ which is also consistent with the traditional heraldic meaning of a flower encapsulating ‘hope and joy’). The lion has convict shackles as both a pun (a customary feature of Coats of arms) and to acknowledge the maternal line of the Stone Family which dates from Esther Eccles alias Ellen Wainwright (buried as Eleanor Gay), a First Fleet Convict who arrived in Botany Bay on the Prince of Wales in 1788 (Shane Stone’s 6th Great Grandmother). The line of descent from Ellen Wainwright through the families Guy (aka Gay), Wheeler, Bilston, Gorman (aka O’Gorman), Sandiford and Devine from County Clare (Devine is the maiden name of Pamela Mary Stone wife of Les Stone and mother of Shane, Terry and Susan). On the maternal side Shane counts a number of convicts including Ellen and her husband (Shane’s 6th Great Grandfather) Thomas Guy (also known as Gay) who arrived in the Third Fleet aboard the Matilda in 1791. The shield is surrounded by the Collar of the Order of Australia (three Stone Family members have been admitted to the Order – Pam Stone OAM, Shane Stone AC and Josephine Stone AM). The motto adopted in English in preference to Latin was considered unusual. Shane’s father the late Les Stone was an accomplished Latin teacher and scholar; he would not have approved, however, the emphasis in the design was simplicity. The motto selected best encapsulates the individual traits and demonstrated service to the wider community of Stone family members. The Companion of the Order of Australia9 (the Australian order of chivalry) hangs from the shield by virtue of the seniority of the award ranked ahead of five orders of chivalry in the Imperial Honours list including Knight Bachelor, Knight of the British Empire, Knight Commander of the Royal Victorian Order, Knight Commander of St. Michael and St. George and Knight Commander of the Order of the Bath. 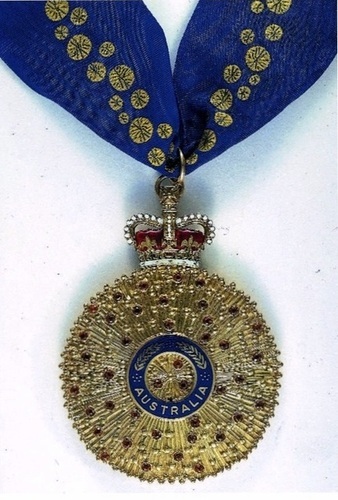 The Companion of the Order of Australia is the nation’s most senior civilian honour and order of chivalry awarded for eminent achievement and merit of the highest degree in service to Australia or humanity at large. Shane’s citation reads ‘For service to politics contributing to strengthening Federal-State-Territory intergovernmental processes, to furthering the bilateral relationship between Australia and the Asia/Pacific region, and to the oil and gas industry’. 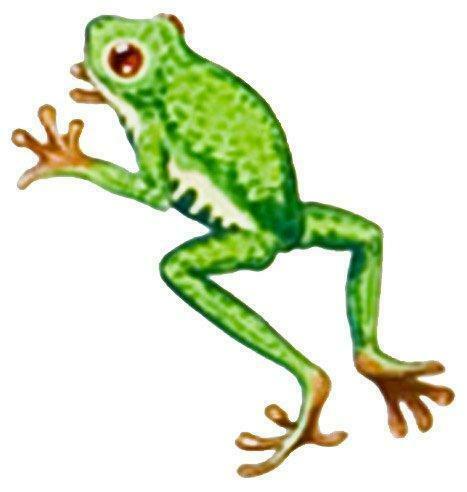 The Northern Australian green tree frog was selected as the family badge. The frog did not feature in John Guillim’s work, least of all a tropical frog. The green tree frog is prolific across the Northern tropical regions of Australia. Shane’s daughter Madeleine has a long interest and fascination with these creatures.The border of the Grant of Arms comprises orchids found in Northern Australia interspersed with small green tree frogs. The border also and features the Coats of Arms of Her Majesty the Queen, Earl Marshal and College of Arms and Kings of Arms. Orchids are commonplace in the Northern tropics of Australia and although of a monsoonal variety as distinct from equatorial species. The Banner or Pennant is a collage of all the foregoing features. Entitlement to the Stone Family Coat of Arms attaches to Pamela Mary Stone OAM (widow of Leslie Edwin Stone and former Lady Mayoress and Mayor of Wodonga), Susan Ellen Stone (daughter of the same), Shane Leslie Stone (the grantee and Armiger), Josephine Gabriella Stone AM and their children Jack Leslie Stone and Madeleine Antonia Stone (the latter retains the individual right for life regardless of her marital status). Thereafter the descendants of Jack Leslie Stone in the legitimate male line may claim. The Grant of Arms was made on Australia Day 26 January 2008. The Stone family comprising Shane, Josephine, Jack and Madeleine attended the College of Arms London July 2008 to receive the Letters Patent from the Windsor Herald and Registrar of the College of Arms William Hunt Esq. TD. Pennant attaching to the Coat of Arms of Shane Stone. Pennants are a variation of a pennon, a flag carried during the Middle Ages that comprised the crest, motto, heraldic and ornamental devices; not to be confused with banner or standard. 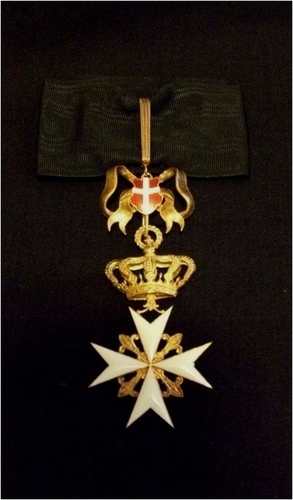 Notwithstanding that Shane is the recipient of a number of foreign awards and is a Knight of Magistral Grace of The Sovereign Military Hospitaller Order of St. John of Jerusalem, of Rhodes and of Malta the foregoing cannot feature in the Coast of Arms as they are outside the Realm (The Venerable Order of St. John is not so precluded). Shane is a recipient of the Panglima Gemilang Dariah Kinabalu Yang Amat Mulia (Commander of the Most Honourable Order of Kinabalu Sabah Malaysia with the accompanying title and appellation of Datuk and post-nominal PGDK) conferred 1998. He was also conferred the Bintang Jasa Pratama (Order of Service of the Republic of Indonesia) in 1999. The award carried neither appellation nor post-nominal. Both awards have been approved for acceptance and wearing following application to the Department of Prime Minister and Cabinet Australia). Shane was accorded the prefix The Honourable for life by Her Majesty Queen Elizabeth II of Australia in 1999 on his retirement as Chief Minister10. Shane is also the recipient of a number of other awards that do not fall within the ambit of State honours and awards. He was made a Life Member of the Philippines Australia Business Council in Manila in 1999. The same year he was awarded the ALKI Award by the Justice for Cyprus Committee. He has received a number of awards from the Philippine Community in the Northern Territory. In 1997 he was made a Life member of the Greek Orthodox Community of Northern Australia and the Cypriot Community of Darwin. He was also made a Life Member of The Kalymnian Brotherhood in 1998. He was conferred as an honorary citizen of Kalymnos in the Greek Dodecanese Pothia in 1995. In recognition of his support of the Orthodox and Coptic faiths, he has been conferred a Knight Grand Cordon of the Order of the Ethiopian Lion by the Ethiopian Crown Council post-nominal GCEL in 2012 and Knight Grand Cross of the Imperial Order of the Holy Trinity post-nominal GCHT in 2017. What follows is a transcription of the Letters Patent in an everyday typeface so that it can be more easily read. 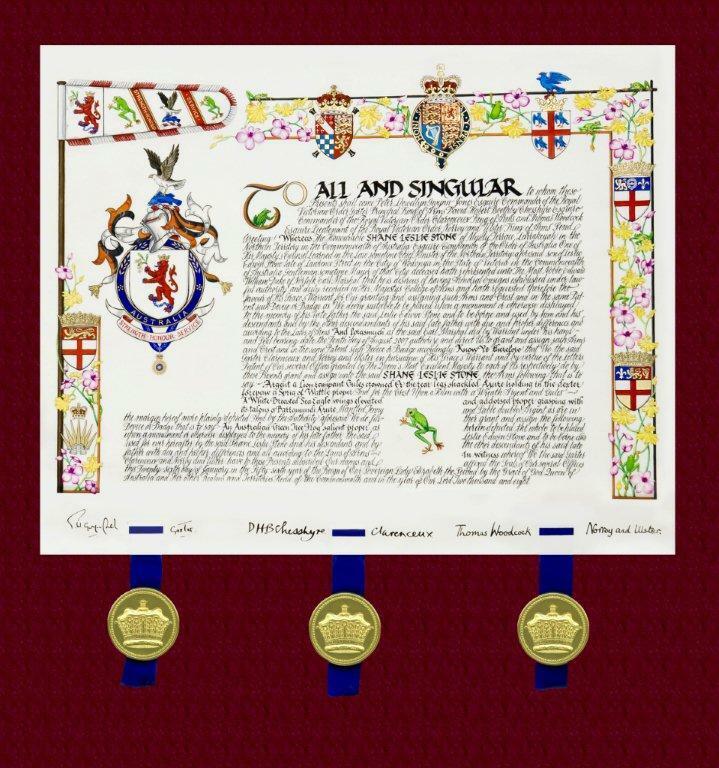 The original Letters Patent in tradition Olde English script is reproduced in full as an Appendix.